If anyone can make a pair of glossy cropped pants look cool, it’s Karlie Kloss. The 24-year-old fashion model was spotted pulling off this quirky-sounding trend as she paraded the streets of France for Paris Fashion Week. 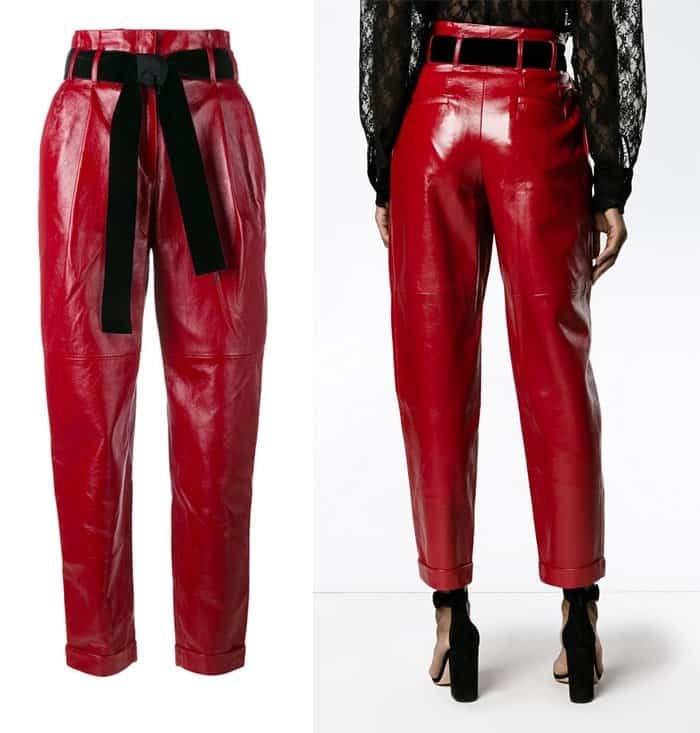 Karlie’s chose to wear the Philosophy Di Lorenzo “Serafini” belted high waist trousers for her day out. 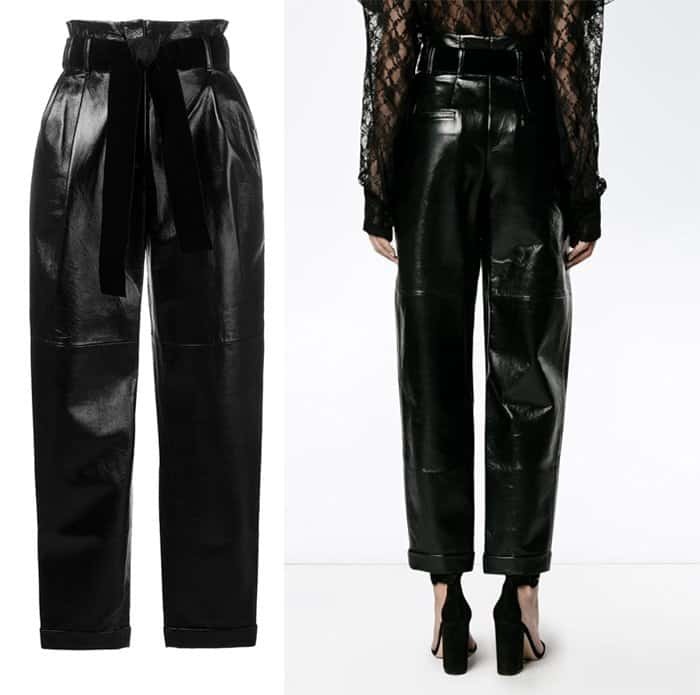 These pants are made from black sheepskin and accentuated by a black belt at the waist. She partnered them with the equally striking Saint Laurent cropped sequined crepe jacket and a pair of Jimmy Choo “Lucy” flats. Love Karlie’s sleek and shiny look? You can still get the same pair of pants, also available in red.